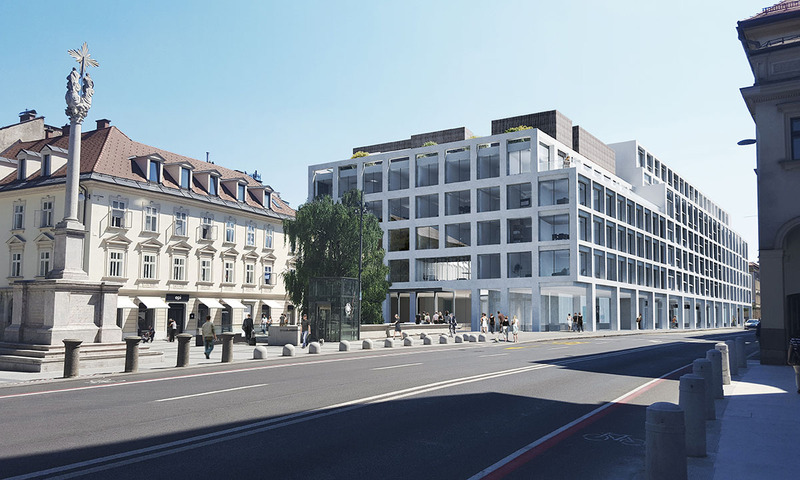 The business and residential building Šumi will be located in the very heart of the densely populated centre of Ljubljana in direct vicinity of the Slovene National Theatre. The building has 11 storeys, of that 4 basements, a ground floor and 6 floors. The building will serve a variety of purposes (garage, stores, hotel, and flats) and this variegation is also reflected in the design of the carrying construction. Ljubljana is located on an area of moderate seismic hazard, this is why the construction has 7 strong reinforced-concrete cores. The vertical load is carried by reinforced-concrete columns arranged over a span of about 8 m in both directions. The building has two internal courtyards, one in the residential section and another one in the hotel. The residential internal courtyard, which has a grass and trees, is encircled by luxury flats separated by non-carrying suspended reinforced-concrete walls to provide for better sound insulation. The construction pit protection will be carried out with a diaphragm wall with three truss slabs. The construction will be executed by using the “top-down” method. The surface area of the construction pit amounts to 5,200 m2, the excavation is up to 15.7 m deep and located closely to the existing adjacent buildings. 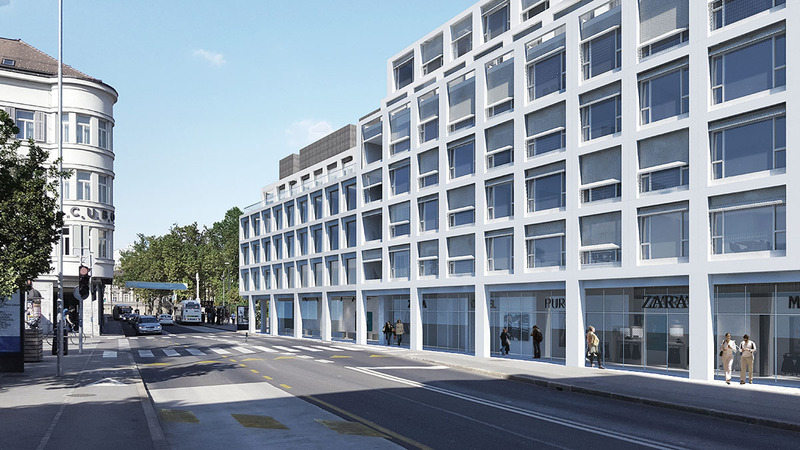 Project typebusiness and administrative building, apartment building LocationLjubljana, SloveniaArea45.400 m²Inv. value45.000.000,00 €Year(s)2017-Servicespreliminary design, building permit design, execution design, as-built designArchitectureGroleger d.o.o.InvestorŠumijev kvart, d.o.o.Photosarhiv GROLEGER arhitekti d.o.o.